Regardless of your feelings about Pittsburgh Steelers 2015 first round draft pick Bud Dupree, be it positive or negative, one thing is for certain as the organization heads into the 2019 NFL offseason: they have a big decision to make with the starting outside linebacker. Rewinding over his four-year career, I’ve always been a Bud Dupree defender. Many critics want to label Dupree a “bust”, comparing him to a previous first-round draft pick in 2013, Jarvis Jones. That’s always been an unfair comparison, as Dupree may not find the quarterback as often as we’d all like, but he’s never fallen out of grace as an NFL starter since taking the mantle (unlike Jones, who started getting benched in his final Steelers season). The stats also speak for themselves, as Jones only had six career sacks as a Steeler, while Dupree has had 20… and that’s after missing nine games on IR in his second season. I often argue that Dupree is utilized differently from his peers. 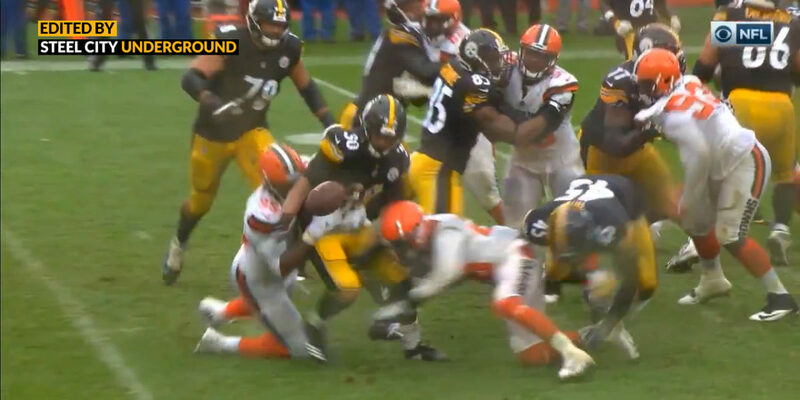 Everyone wants a Joey Porter, Kevin Greene, James Harrison or LaMarr Woodley “sack the quarterback” style outside linebacker. While that’s great, Dupree is an athletic freak who often finds himself among the league leaders in players who drop into coverage. Falling back to cover in the passing game is a lot different than pushing forward to get after the opponent’s passer! 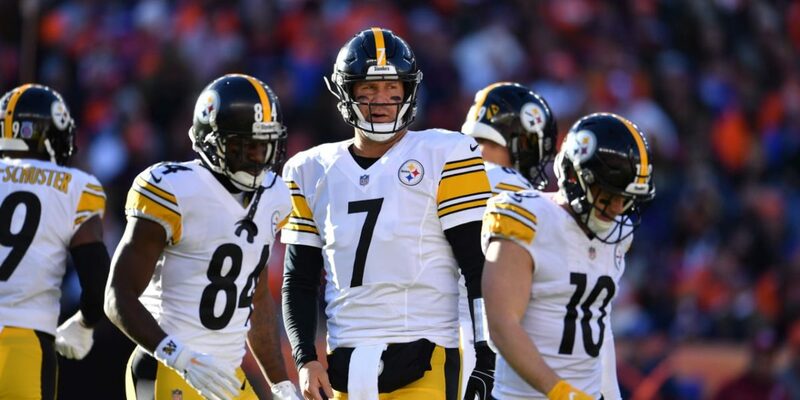 Alas, while those will see a glass-half-full or half-empty with Bud’s first four years in the league, there’s a bigger offseason decision looming that could see the Steelers head in a different direction. As a first-round draft pick, the team opted to use their fifth-year option on Dupree for 2019. Those options for a fifth-year on a player’s rookie contract only apply to those players selected in the first round of the NFL Draft: think of it like a rookie contract franchise tag extension. That means that the Steelers made this decision last season but also have another decision to make this season. A fifth-year option has two sets of conditions: the salary for those selected in the top ten and everyone else. For Dupree, who was selected 22nd overall, this means a payday set as a calculation of an amount equal to the salary of the Transition Tender (set in Article 10, Section 4 of the CBA) for the player’s fourth contract year, but defined by the 3rd-25th highest Prior Year Salaries for the player’s position. In plain English, Dupree’s fifth-year option is worth $9.232 million: and is fully guaranteed for injury or if he is on the roster the first day of the 2019 league year. The last part of that sentence is the important part: the league year begins at 4:00 p.m. New York time on March 13th. That puts a deadline on what the Steelers future plans are. Do they release Dupree prior to March 13th or do they proceed to pay for a player who has had 20 sacks over 3.5 seasons? That’s the $9.2 million-dollar question. Is Dupree worth this big payday or would the Steelers be willing to release him and look elsewhere to spend that money in free agency? I suppose that all depends on who is available: and that’s largely based on who is left. Contract negotiations with free agents are permitted starting March 11th and it's truly unknown what pass rushers may re-up with their current clubs before the league year begins. If the Steelers cut ties with Dupree, this leaves their cupboards quite bare: they still have T.J. Watt, Olasunkanmi Adeniyi, and presumably practice squad player Keion Adams, but that’s about it. Even Anthony Chickillo is set to hit free agency unless the two parties strike a deal this offseason. That makes letting Dupree go a double-edged sword. On one hand, it’s the devil you know, and on the other, you could theoretically improve with spending that $9.2m on the devil you don’t. There’s always the possibility of acquiring a pass rusher in the draft, but then again, isn’t this how we got to where we are now? The Steelers have drafted for this need with the top pick overall three times since 2013 with Jones, Dupree, and Watt. Will they make it a fourth in 2019? Or can they find value elsewhere? That’s such a gamble that the team may just stick with Dupree for another season… or beyond. Another possibility is that the two strike an extension which pays Dupree what he’s owed but also stretches that dollar further for the Steelers. That may be a tough sell for a high draft pick looking for his first contract beyond his rookie deal. 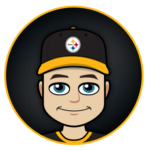 But Pittsburgh also has other decisions to make, including situations with Antonio Brown, Le’Veon Bell, and Ryan Shazier that could leave other positions in limbo. 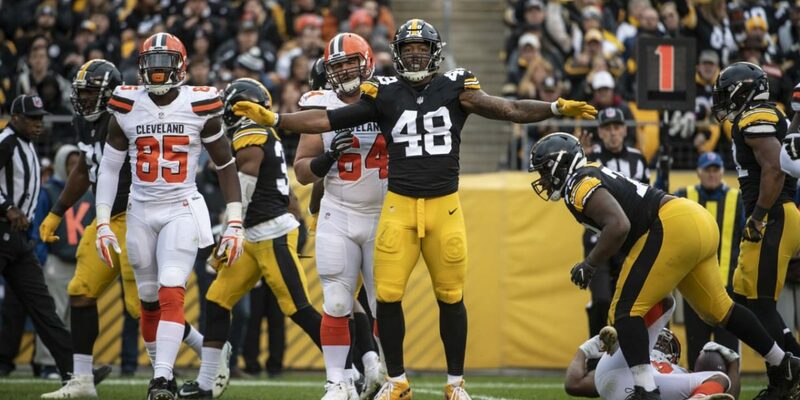 Would the Steelers say goodbye to Dupree, creating another potential hole on their 2019 roster? This is yet another headline worth watching as we progress toward March 13th, as this may be the first big decision the Steelers have to make heading into the new league year. When a coach drafts a guy in the 1st rnd, he bends over backwards to play the guy as long as he’s on the team. It’s an embarrassment to have a 1st rounder sitting on the bench. Also, he has 4 cheap years to develop that player before deciding the next step. I believe those are the reasons why Dupree has been the starter for the last 4 years, as opposed to any effort to upgrade. He is a great athlete without NFL skills, which combined make him an average player. With so many snaps under his belt, he’s not likely to all of a sudden become a Pro Bowler, which is what $9MM salaries are for. It makes sense to offer him a $3-4MM per year deal. If he doesn’t take it, his production can be replaced for that on the open market. Can’t disagree with most of what you said except for the “embarrassment” factor. First rounders are definitely afforded more opportunities and that would be true as you go through each round of the draft, position dependent of course. That said, the Steelers used to keep rookies on the bench period. It took Cam Heyward years to get on the field. Then they had to play Jarvis Jones by necessity and put him on the bench, then inactive to finish out his years in Pittsburgh. Artie Burns went to the bench this season too, so I wouldn’t necessarily say that Mike Tomlin is gun shy on benching players and I also wouldn’t say Dupree is a player who should be benched either. However, the dollar figure attached to his option is where you start to separate the business end of this. Reminds me of moving on from Le’Veon Bell or even automation in the business world. At some point there’s a break even point where you can move on. Yeah, I guess I should have said it’s an embarrassment when you have to cut or bench a 1st rounder permanently. In the case of Burns, he played so incompetently, Tomlin had no choice but to bench him. If he fails to earn a second contract, it will be a black eye on management. With regard to Dupree, they don’t have anyone to replace him, yet. I would have loved to have seen an athlete like that develop all the skills, but he’s had plenty of snaps. He should realize his true current worth, and accept a moderate deal. If he thinks he’s capable of significant improvement, negotiate a shorter contract. The Steelers need to add talent at that position, regardless of whether or not he stays. I’m looking forward to seeing what Ola can do. However, Dupree hasn’t been bad at all. If he were drafted a few years earlier we would be comparing his numbers with Jason Worilds, a five-year player, second-rounder, who didn’t really see any meaningful snaps until his fourth season (he’s listed on PFR as a starter 10x over his first three seasons). Worilds finished his career with 25.5 sacks over 73 games. Dupree had 9 starts over his first two seasons and in four years, 54 games, quietly has 20 sacks. When you look at how the Steelers are leading the league in sacks over the last two seasons, I can’t really pin that on any lack of “anything” with one individual player, but instead a change in scheme. For someone like Ola to crack playing time in the future he has to wear several hats, including dropping into pass coverage: the reason James Harrison was benched in 2017 in favor of Watt. Here he goes only you could defend bud the dud. You can’t be SERIOUS. This is why the organization is where it is. Dupree can be easily replaced by a much cheaper option. You are the biggest excuse maker on the planet. First of all, I agree that Bud is a dud, relative to being a 1st round pick, but not nearly as bad as Jarvis Jones. And to be fair, Joe did not say that the Steelers should pay the dud the $9MM. He detailed all of the options, and how they could play out. He pointed out that the money might be better spent on other personnel. Also, that a lower priced contract may be worked out. He also implied that since Bud is currently the second best OLB on the team, parting ways could leave the team too weak at the position. Overall, I think it was a pretty thorough and reasonable article. Thanks Jamie. At least someone saw what I was getting at. I’m just (trying) to show every angle!